One of the lesser-known legacies of Catherine the Great’s reign as Empress of the Russian Empire was her introduction of ‘professionalized’ education for the monarchy. Based on domestic tuition by highly-qualified tutors who were specialists in their fields, Catherine’s system was to provide Russia’s tsars with tailor-made teaching in key areas such as finance, law and military affairs throughout the 19th century. The Napoleonic Wars, the Decembrist Uprising, the Crimean War, the abolition of serfdom, and maintaining control over the Far East were just a few of the challenges and major events that the Russian Empire was compelled to navigate in the 19th century. Each event required a competent and professional reaction by the tsar – a reaction that to a large degree depended on the ruler’s education. Even Catherine the Great, who reigned for almost the entire second half of the 18th century, surmised the importance of ‘professionalizing’ the monarchy. She laid the foundations of domestic education for her heirs and the great princes of the 19th century. From the era of Catherine the Great onward, training for Russia’s monarchs resembled school and university education, but it entailed fewer basic disciplines and more special courses, particularly in finance, government, and law, as well as military affairs – precisely what Catherine’s ‘professionalization’ required. In the 19th century, the body of educators, which consisted of senior officers and officials as well as the best teachers of the time, was divided into military and civilian roughly equally. Alexander II’s physics and chemistry teacher was chairman of St. Petersburg’s Pharmaceutical Society Alexander Kemmerer, a pharmacist who in 1825 took the reins at the Glavnaya Gornaya Pharmacy, which he created. Nikolai Beketov, one of the founders of physical chemistry and chemical dynamics, taught chemistry to Nicholas II, while Login Kraft, a member of the St. Petersburg Academy of Sciences, taught math to Nicholas II’s son and daughters. One of the first Russian fencing coaches, Ivan Siverbrik, who organized a fencing school in Russia, taught Alexander II and Nicholas I the art of swordsmanship. Siverbrik and his son wrote a book on fencing with swords and broadswords. Some tutors taught multiple generations of tsars at once. Konstantin Pobedonostsev – a censor and one of the most influential people in the Russian Empire for decades – was tutor to Alexander II’s eldest son, Alexander III and his brother Vladimir, and Nicholas II. Military affairs was a subject of particular importance for all tsars, and it was taught in a unique and particular way to each future tsar. For example, Nicholas I’s military affairs course was limited exclusively to special classes on engineering and cartography. 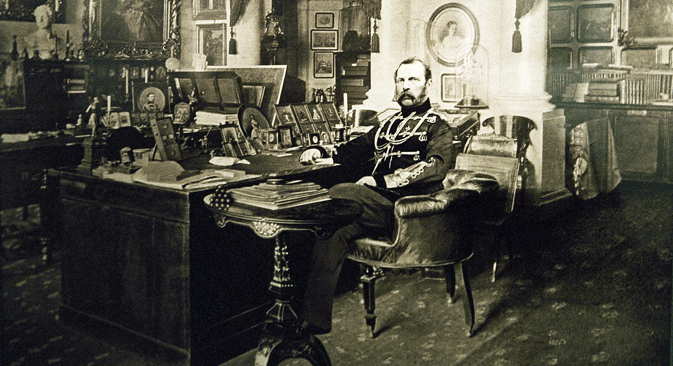 Engineer-general Karl Opperman used one of the most productive modern forms of education in his work with Nicholas I: He gave the future tsar topics for independent elaboration on a project basis, and then the two sat down together and analyzed the results. Alexander I only studied fortification, artillery, and military strategy. His teacher was Antoine-Henri Jomini, a general for two opposing states: Napoleon’s France and Alexander I’s Russia. He was chief of staff for Marshal Ney, who participated in Napoleon’s invasion of Russia in 1812; founder of the Russian Academy of the General Staff; a French and Russian writer, and even the military governor of Smolensk in 1812. Home schooling for future tsars throughout the entire 19th century was, almost without exception, set apart by the high professional level of the tutors, as well as its diverse and often innovative university forms (including special courses and project-based work), which not only outpaced traditional higher state education, but also paved the way forward. Olga Dudnikova, PhD is an associate professor at Smolensk State University who specializes in the history of education.